With more than 65 participants from different parts of the world, different cultures and backgrounds, over 30 workshops, lectures, performances, music and cultural events during 3 intense days. To gather farmers , technicians, indigenous groups, creative young people around the following topics: The good living , Memory and Sustainable Technologies. To create synergies in order to develop and support future local projects. Peasants and indigenous are now motivated to develop similar events in their communities. The intention to create a library to exchange and preserve native seed. A video and text documents waiting to be published and shared under a free license creative commons (CC). Recognition and location of indigenous communities and peasant groups in the region. Free access to education, art and culture to peasants and indigenous families. The consolidation of an intercultural group to organize the next MinkaLab . Representation of the peasantry in Colombia by Alejandro Araque . Biopractica , visualization of microorganisms. Hamilton Mestizo. Economiy of short paths. Iban Agudeloc. Experimental music and noise . Jorge Bejarano. Historical tour of traditional Colombian music. Grupo Serrania. Native Nutrition . Maria Elena Guzman. Teaser to co-create social technologies. Juan Reina. Ritual and medicine plants. Conrrado. 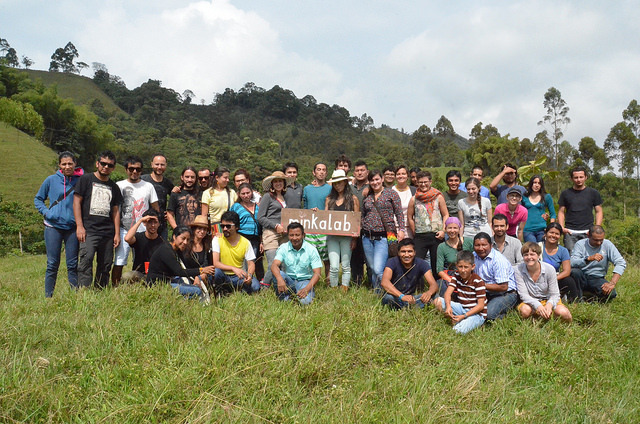 A very warm regards from all the team and participants of the MinkaLab 2014.